Super Simple Kits for anyone to work with. New! Kit now available for the LARGE Moebius 1/6 scale model. RC voice activation option now available. This option must be added to kit before shipping. Can not be added later by client. 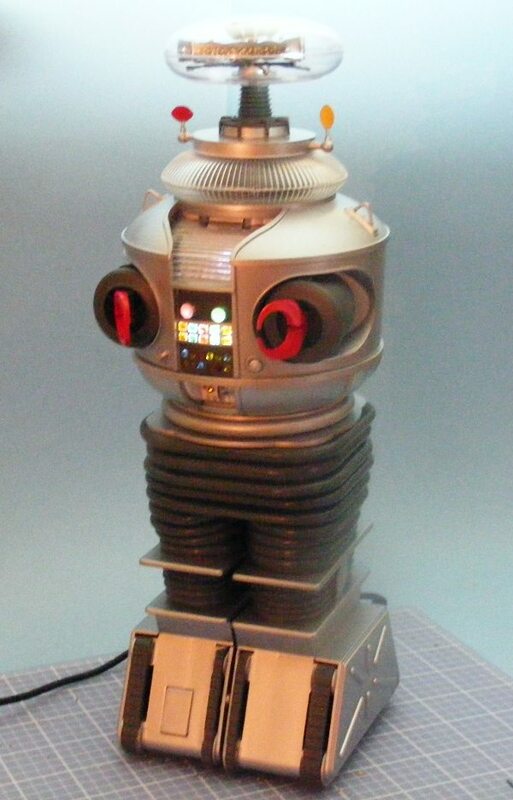 We are proud to introduce to you our Plug-N-Play Life Force kit for one of the most anticipated SyFi models of the decade, the Moebius 1/6 scale LoSt in SpaCE Robot. 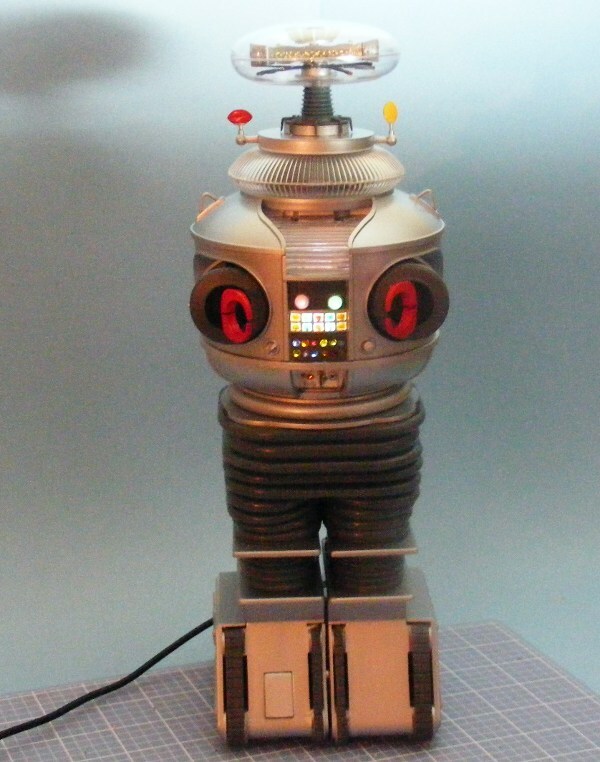 Also fits Masudaya 16" B9 Robot. Moebius 1/6 scale model not included. 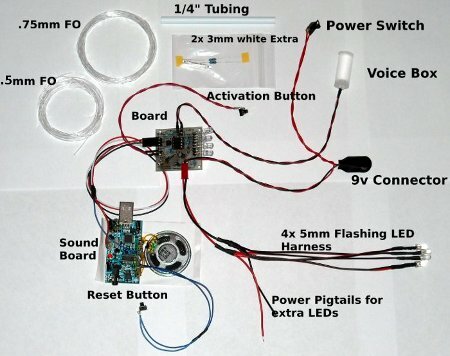 1 x sound board with speaker. This sound board also has a 1/8" audio out jack for amplified external speakers. 4x 5mm 1x3mm and 1x3mm with glow rod Pre-wired LED harness and a set of pigtails for extra LEDs. 1 PDF manual. Will be emailed after sale. May require extra wiring (22awg-26awg) and Fiber Optics depending on how elaborate your build is. Completed 1/6 B9 client's build. PERFECT!! The default kit comes with 9v battery connector and harness. Installation of the Wall wart and Harness option is demonstrated in the manual. RC version: This option must be added to kit before shipping. Can not be added later by client. This option must be added to kit before shipping. Can not be added later by client. Our new VLS option allows the user to add several minutes of their own sound file phrases to be played insync with the voice tube. User must have experience in sound file editing/filtering as well as being able to use provided software on a computer. Instructions for using the software and adding sound files via usb connection is provided. Please do not order this option if you do not know how to edit, extract, or transfer sound files to your computer, instructions for those processes are not provided. model build with your Lifeforce kit, and it is amazing. Your online directions were great, and the product performs very well! 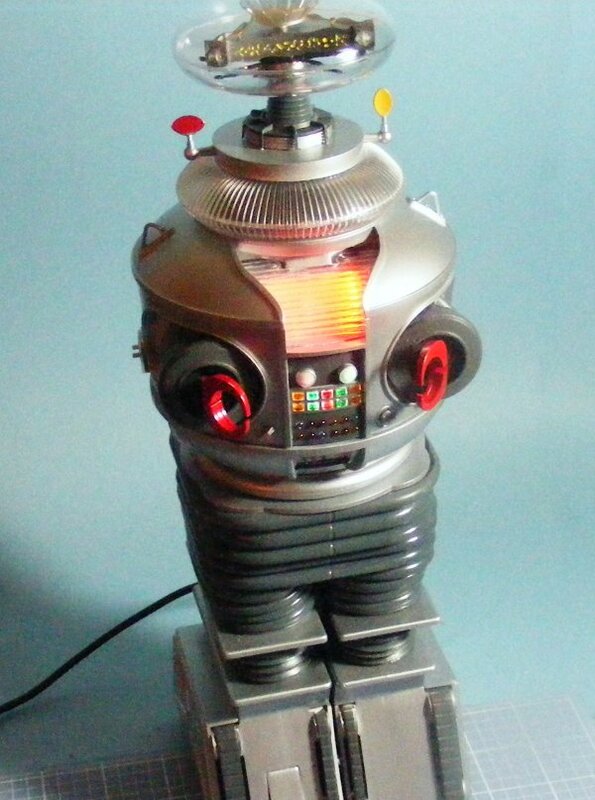 I want to thank you for creating the B9 Robot Life Force� LED and Sound Effect Kit. I could not be happier with the product. 5 out of 5! now produced by Polar Lights, to a prized possession. and anticipate buying other effect kits in the future.